Between 900 and 1580, up to 1500 pueblo Indians lived in the area where they hunted game and cultivated food. 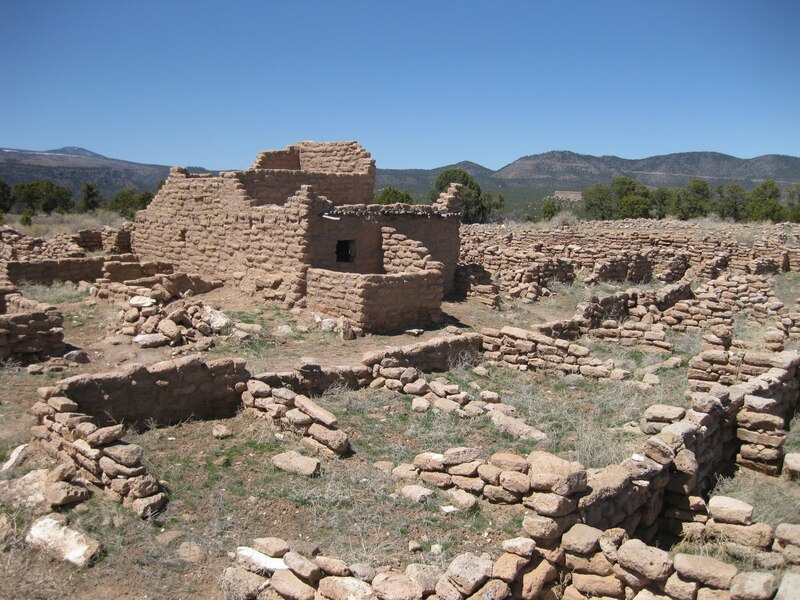 Native peoples first settled in the area in the late 10th century of the Pueblo II Era, living in dispersed farmstead dwellings at the east side of the Jemez Mountains. Their settlements increased and changed over time in the Pueblo III Era, when they lived in larger, concentrated villages of Otowi, Puye, Shufinne, Tsankawi, Tsirege, and Tyuonyi. The Puye Cliffs complex, the largest complex on the Pajarito Plateau, includes two levels of cliff-dwellings and surface and cave dwellings. 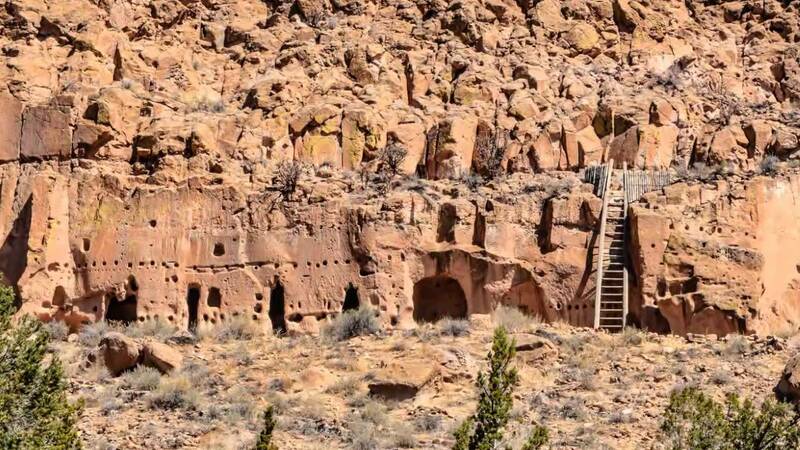 The two levels of cliff dwellings, the mesa top and reconstructed ‘Community House’ are accessed by paths and about twelve stairways and ladders cut into the side of the cliff. One level of cliff dwellings is over 1 mile (1.6 km) long and the second is about 2,100 feet (640 m) long. 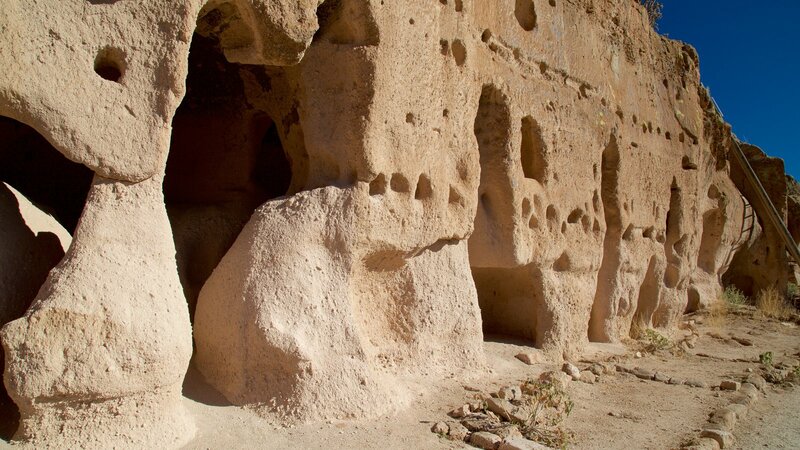 The dwellings were carved out soft of volcanic tuff on about a 200 feet (61 m) cliff ridge. The rock is relatively soft and can be excavated using wooden tools. 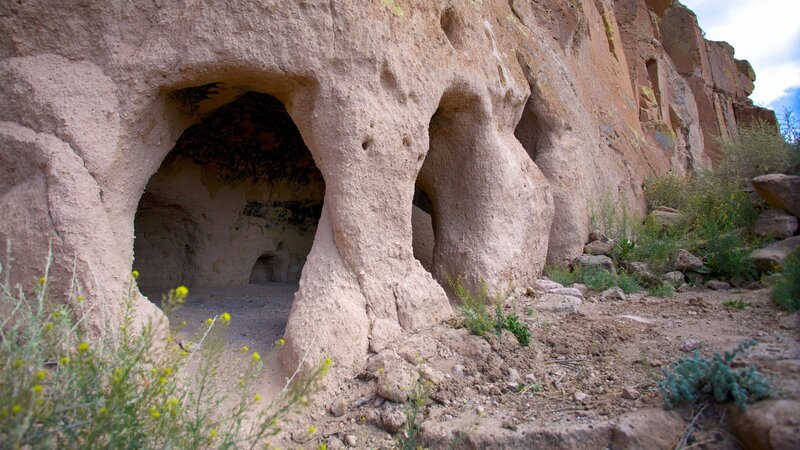 The cliff dwellings held about 740 rooms and ruins at the base of the cliff that likely held additional dwellings. On top of the mesa are cave dwellings of the Pueblo II Era around which a multi-storied puebloan village was built. The south portion of the complex had 173 rooms on the ground floor. The total number of rooms is not known, but would include rooms on the northern side of the complex and the upper levels. In the center of the complex was a large plaza. About 1580 (after the end of the Pueblo IV Era) drought finally forced the villagers to leave for locations nearer to the Rio Grande valley. Present day inhabitants of Santa Clara Pueblo, some 10 miles (16 km) to the east, are descendants of the Puye. 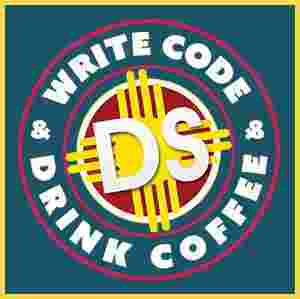 The American Indians living in pueblo in northern New Mexico traditionally speak the Tewa language. 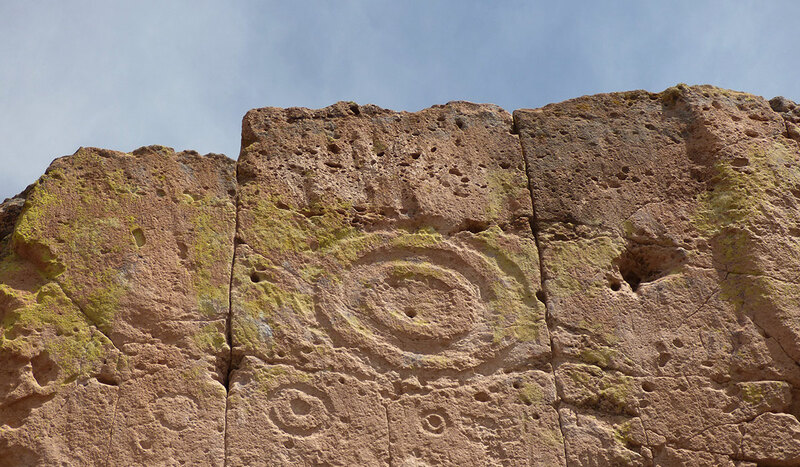 The Tewa name ‘Puye’ can be translated as ‘pueblo ruin where the rabbits assemble or meet’. In 1907 Edgar Hewitt, with the Southwest Society of the Archaeological Institute of America, excavated Puye Cliffs. It was the first systematic excavation of a prehistoric pueblo in the Rio Grande valley.